Up here in the Northwest, it’s getting colder and the nights are getting longer. Not that it isn’t like that all year round basically, but at least we have holidays to now look forward to. 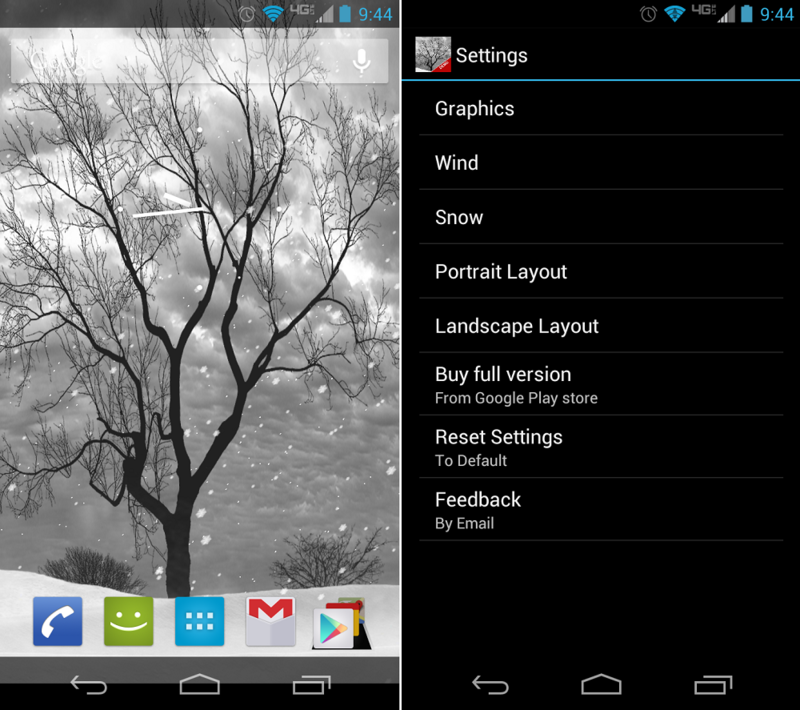 To celebrate or signify the coming of winter, we wanted to share this live wallpaper called Lonely Tree. What’s nice about the Lonely Tree is that the wallpaper is rather easy on the phone’s memory and is just soothing to watch. Snow, depending on if you enable it, blows past the tree and it reminds me of a place I would like to be instead of chained to a desk. There is a free version on Google Play and also a pro version that features enhanced customization settings. Go check it out and let’s have an awesome end of the year. Update: The free version is fully functional, but has a text bar that scrolls down every two minutes that could annoy some people. The paid version gets rid of that. Go grab it!